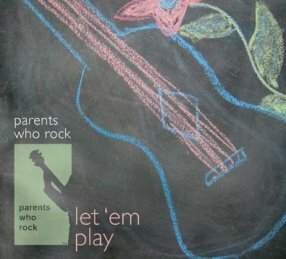 Parents Who Rock: El Kabong! El Kabong! 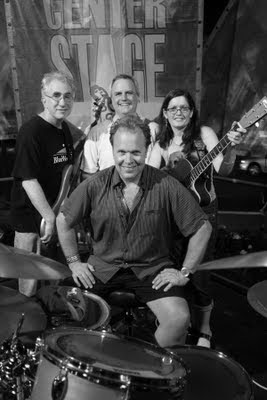 consists of Montclair residents Carrie Cantor (rhythm guitar, vocals), Rob Halper (vocals, bass), Jim Kvoriak (lead guitar, vocals), and Michael Trullinger (drums, vocals). The band plays covers of songs by energetic alt-country artists such as Ryan Adams, Kathleen Edwards, Brandi Carlisle, Steve Earle, and the Old 97s, with some straight-on rock ‘n' roll via KT Tunstall, the New Pornographers, Sheryl Crow, and the Pretenders thrown into the mix. They like to turn audiences on to new songs that people don't hear every day but that are accessible and fun. 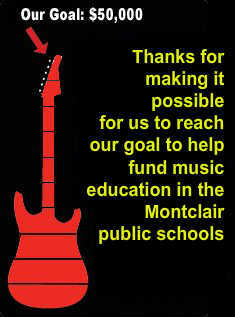 All of the band members have played on many stages in and around Montclair. El Kabong! has performed several times on the Montclair Center Stage and at the Diva Lounge, Art in the Park, Trumpets, and the Church Street Kitchen, and has participated in numerous Parents Who Rock benefit concerts. The name? Yes, those of you “of a certain age” surely recognize the name of the alter ego of the cartoon character Quick Draw McGraw, who would sometimes assume the identity of the masked vigilante El Kabong—a parody of Zorro. The cartoon’s narrator always introduced the character by saying, “Of all the heroes in legend and song, there's none as brave as El Kabong.” El Kabong would swoop down on a rope, crying “KABOOOOOONG!” or “OLAYYYYEEEE!” and would hit the bad guy over the head with an acoustic guitar that made a distinctive kabong sound. To book, contact Carrie Cantor at cantor.carrie@gmail.com.